Liverpool were able to keep pace with Manchester City at the top of the Premier League with a vital 2-0 win over Chelsea on Sunday evening. Liverpool dominated possession during the first half, but they found it difficult to break down a resolute Chelsea side, who set themselves up well to deal with the Reds' rapid attack. Undeterred by a difficult start, Liverpool sprung out of the traps in the second period and were able to find the opening goal through Sadio Mane. After some neat footwork, Jordan Henderson floated a ball across the box and the Senegalese forward headed into an empty goal. Liverpool's lead was doubled shortly after in sensational style. Mohamed Salah evaded Emerson on the right wing, cut inside and unleashed a rocket, which sailed into the top right corner, leaving Kepa Arrizabalaga grasping at thin air. Eden Hazard had two clear cut opportunities to pull a goal back for Chelsea, but he spurned both, first being denied by the post and then by Alisson. That was as close as it got for the Blues and Liverpool held firm to secure the three points. As is going to be the case for every game between now and the end of the season, nothing less than a win was going to cut it for ​Liverpool in this one. The Reds certainly found it tricky to break down Chelsea during a frustrating first half, but they maintained their composure and reaped the rewards - just as they have done so many times over the past few months. After some underwhelming performances, the Reds look to be hitting their best form of the season at just the right time and there is a very real chance they could potentially go all the way. Manchester City still have the upper hand in the title race, but Liverpool will be confident that they can secure maximum points from their remaining games. The title race is going right to the wire and you can only be sure of one thing - it's going to be explosive. Starting XI: Alisson (7); Alexander-Arnold (7), Matip (7), Van Dijk (7), Robertson (6); Fabinho (8), Henderson (7), Keita (7); Salah (8*), Mane (7), Firmino (7). Substitutes: Wijnaldum (6), Milner (6), Shaqiri (N/A). 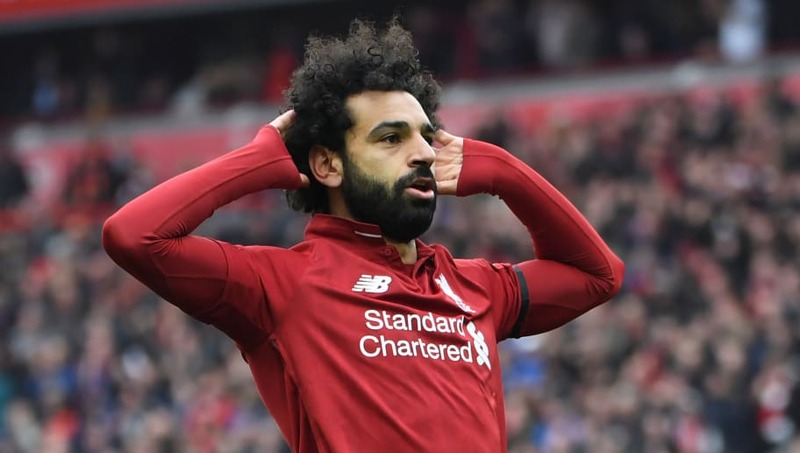 There's no denying the fact that ​Salah hasn't been at his best in recent weeks, but the diminutive Egyptian silenced his critics with a sensational performance in this one. He was a constant threat down the right flank, tearing past Emerson with ease time and time again, whilst also tracking back to nullify the threat of Willian. And that's not mentioning his goal. He's scored some memorable long range strikes during his time with the Reds but this once tops the lot, and then some. It was nothing short of sensational. Finishing in the top four is entirely in ​Chelsea's hands and Maurizio Sarri would have been well aware that a win would see the Blues build a crucial five point gap over Manchester United in fifth place. The result is a little harsh on Chelsea because they set themselves up well to stifle Liverpool, and on another day, they would have been able to find the back of the net at least once. The biggest criticism you can have about the Blues' performance was that they didn't offer enough support to ​Hazard at the top end of the pitch, especially from out wide. Given how strong Liverpool have been at home in recent seasons, the result is far from disastrous, but it does put a lot of pressure on the crunch match against Manchester United at the end of the month. Starting XI: Kepa (6), Azpilicueta (6), Luiz (5), Rudiger (6), Emerson (5); Kante (6), Jorginho (5), Loftus-Cheek (6*); Hudson-Odoi (4), Willian (4), Hazard (6). Substitutes: Christensen (6), Higuain (4), Barkley (5). ​Loftus-Cheek has struggled to maintain a regular starting XI spot so far this season, but he was Chelsea's most influential player this time around, using his physicality to great effect. He bridged the gap between defence and attack very well and was at the heart of some of Chelsea's most promising attacks. Sarri still seems to be unsure over the young midfielder, but he's a much better option than the likes of Mateo Kovacic. Ruben Loftus-cheek absolutely BODIED Van Dijk there, keep watching England. He's your future without a doubt. Loftus-Cheek with some more OUTRAGEOUS skill. This man bathes in sauce. Liverpool will be looking to book their spot in the Champions League semi-finals for the second consecutive season as they travel to face Porto on Wednesday. Chelsea are also in European action, welcoming Slavia Prague to Stamford Bridge in the second leg of their Europa League quarter-final clash.